The CEO of Japanese telecommunications giant and internet multinational Softbank is at it again. Masayoshi Son has been consistent with his predictions as to when the technological singularity will occur. This time, Son predicted that the dawn of machines surpassing human intelligence is bound to occur by 2047 during a keynote address at the ongoing Mobile World Congress in Barcelona. Son famously made the same prediction at the 2016 ARM TechCon, when he revealed that Softbank is looking to make the singularity happen. Sound like every single human-vs-machine sci-fi flick you’ve seen? Son doesn’t quite think so. Already, individuals are working to ensure that the coming age of super synthetic intelligences is, indeed, one that is beneficial for humanity. Case in point, Braintree founder Bryan Johnson is investing $100 million to research the human brain and, ultimately, make neuroprostheses that allow us to augment our own intelligence and keep pace with AI. This will be accomplished, in large part, by making our neural code programmable. Our connection with our new creations of intelligence is limited by screens, keyboards, gestural interfaces, and voice commands — constrained input/output modalities. We have very little access to our own brains, limiting our ability to co-evolve with silicon-based machines in powerful ways. To that end, Johnson’s company, Kernel, wants to ensure that we have a seamless interface with our technologies (and our AI). 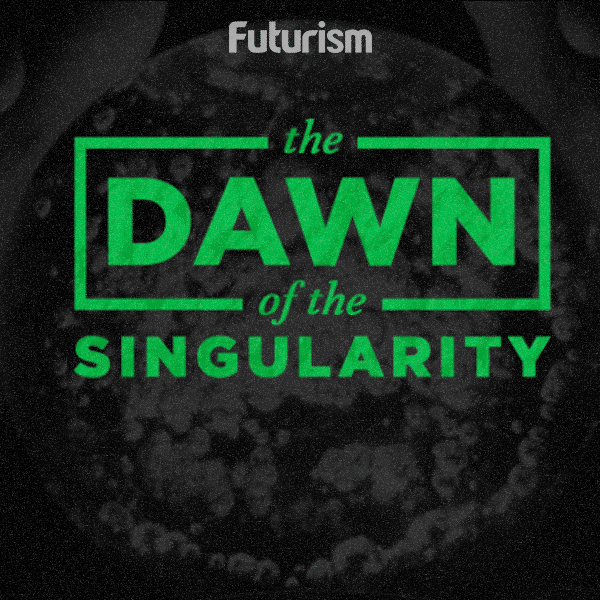 Son isn’t alone in expecting the singularity around 2047 — Google Engineering director and futurist Ray Kurzweil shares this general prediction. 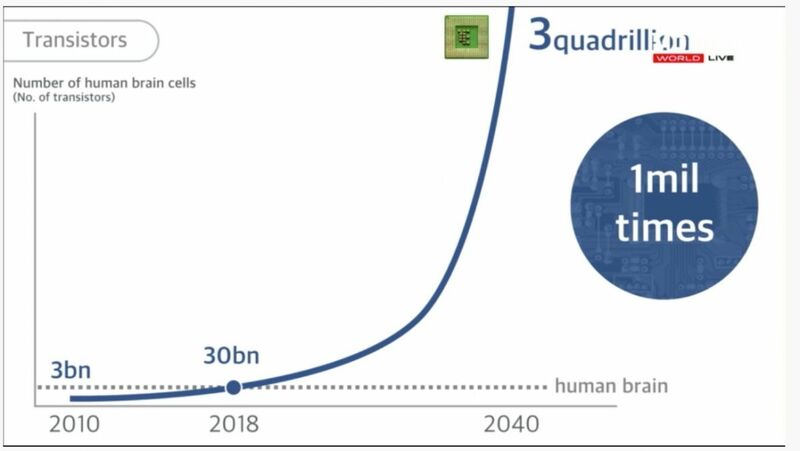 As for his predicted machine IQ, Son arrived at that figure by comparing the number of neurons in the human brain to the number of transistors in a computer chip. Both, he asserts, are binary systems that work by turning on and off. By 2018, Son thinks that the number of transistors in a chip will surpass the number of neurons in the brain, which isn’t unlikely considering recent developments in microchip technology overtaking Moore’s Law. It’s worth pointing out, however, that Son put the number of neurons in the brain at 30 billion, which is way below the 86 billion estimate made by many. Will these super intelligent machines trample over humankind? We don’t know. But Son is convinced that, given our abundance of smart devices, which include even our cars, and the growth of the internet of things (IoT), the impact of super intelligent machines will be felt by humankind. And we have 30 years to prepare for them all. Fortunately, a number of innovators are already working on solutions.